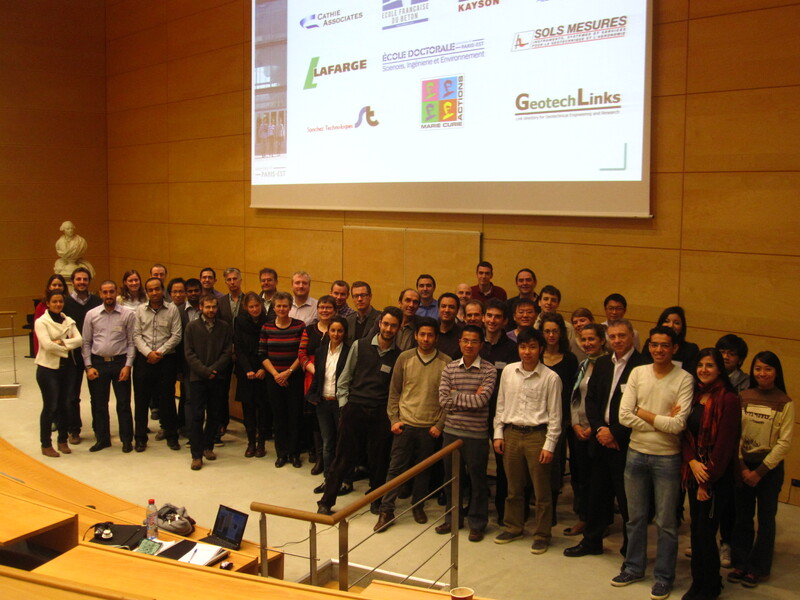 The 2012 issue of the W(H)YDOC Workshop was successfully held in Paris (Ecole des ponts) from 21 to 23 November. Like in previous issues (2002, 2005, 2008), ALERT was a partner of the event with various doctors from ALERT partners presenting their work. The Workshop was also supported by the GEOEXCEL European network (Pierre and Marie Curie actions) between Europe and Latin-America. Keynote lectures have been given by Profs K. Scrivener (EPF Lausanne), M. Coop (City University, Hong-Kong) and L. Guimaraes (University Federal of Pernambuco, Brasil). The attendance was quite international with the presentations of doctors from Belgium, Brasil, China, Czek Republic, France, Germany, Italy, the Netherlands, Poland, Spain, Sweden, Switzerland, UK, USA. The W(H)YDOC 2012 prize has been given to Anna Ramon from UPC Barcelona for her work entitled “Crystal growth under bridge foundation” conducted under the guidance of Prof. E.E. Alonso.